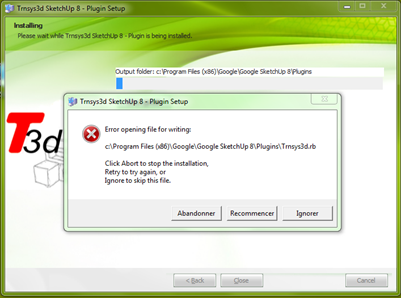 Why can't I install the T3d plugin for sketchup 8 as it's shown in figure bellow? ​It keeps showing me the same message for all files ! !